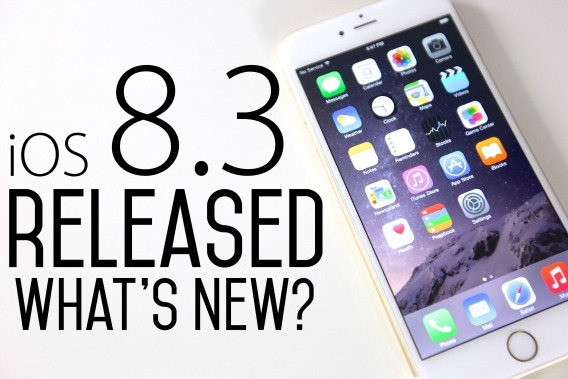 Along with released an update to Mac OS X Yosemite to introduce the new Photos app, Apple also released iOS 8.3 – the third major update to iOS 8 to all iPhone, iPad, and iPod touch. The updated iOS 8.3 comes with a ton of new emoji characters to the emoji keyboard along with several bug fixes and performance improvements. Apple has redesigned over 300 new emoji characters added to keyboard for inputting the symbols. The new keyboard also features a scrolling UI which iOS users can now touch and hold on certain emoji and it will pop-up that provide diverse options. Furthermore, iOS 8.3 added new Siri languages allow Apple’s virtual personal assistant to operate in different countries such as Russian, Danish, Dutch, Thai, Swedish, Turkish, and Portuguese. The update also improves Siri stability, overall performance, and packs in bug fixes for Wi-Fi, Bluetooth, third-party keyboards, and a host of other apps. 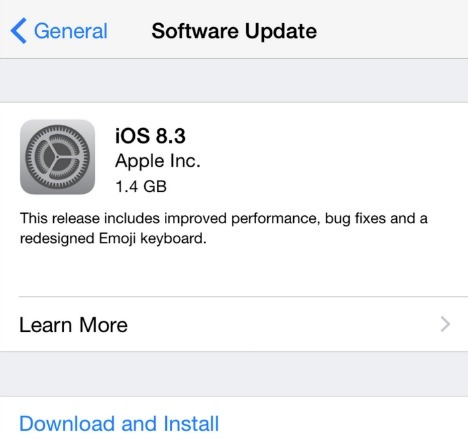 iOS 8.3 is now available for download and update via OTA Software Update feature on iOS device in Settings > General. iOS 8.3 is available for iPhone 6 Plus, iPhone 6, iPhone 5, iPad Air 2, iPad 4, iPad mini 3, iPod touch (5th generation), and etc.